We love this unique silhouette! The Casting is made in the USA & plated in 24k gold. 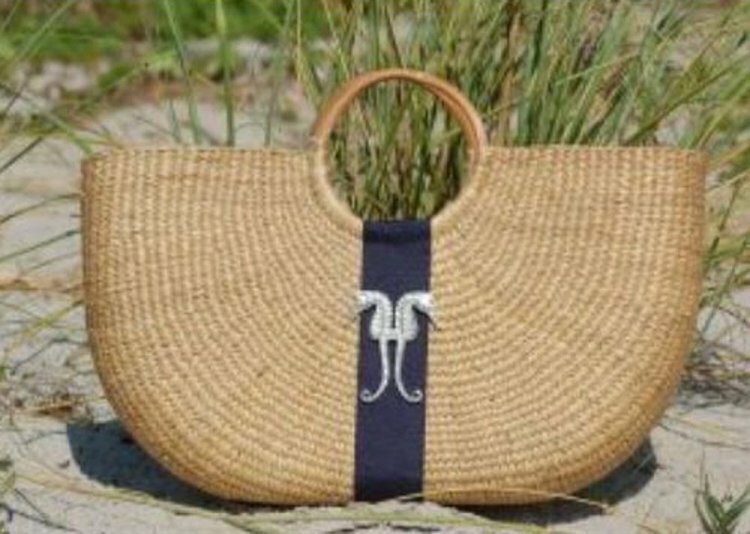 Hand woven in Thailand from the choking river weed, water hyacinth! It is cleared from the rivers then dried and the outer layers stripped to reveal the blond center. The strands are then woven into our designs. The handles are local vines. They are soaked bent and lacquered.